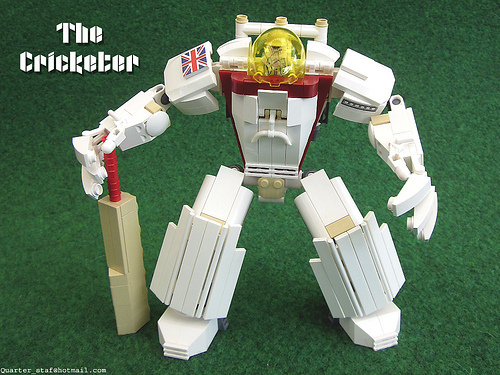 Douglas Adams once said that most sensible citizens of the galaxy find cricket to be in rather bad taste. But that’s earthlings for you. Not one to leave well-enough alone, Mark Stafford takes the game to a new level by adding giant robotic suits to the mix. I wish the PCA would get behind this idea. I’d actually watch the game then.